» Albany bond update: Hasty Freez spared! Albany bond update: Hasty Freez spared! 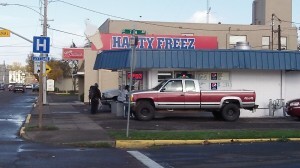 Hasty Freez at the corner of Seventh and Lyon. You can see the old fire hall behind it. The good news: Hasty Freez, Albany’s venerable burger, ice cream and shake emporium at the corner of Seventh and Lyon, can stay where it is under the current plan for building a new fire station in place of the old Station 11 downtown. On Wednesday (Nov. 6) the city council will vote on authorizing the city manager to buy the remaining property needed for the station project. The tentative purchase agreement calls for the city to pay the owners $545,000 for two parcels and part of a third, but Hasty Freez and its parking lot are not part of the deal. The city would buy the site of Richards Cleaners at 623 Lyon St. S.E., the back part of the Hasty Freez parcel at 655 Lyon, and the site of an old shed at 177 Seventh Ave. S.E. County tax records list the owners of all three parcels as Gary and Patricia Davenport. The three parcels together, including the entire Hasty Freez property, are valued on the tax rolls at $405,340. In September, the council authorized the purchase of two parcels on the other side of the fire station, north of Sixth Avenue, for $625,000. But Fire Chief John Bradner sent word that the city was still negotiating over an existing lease on one of those properties, and the purchase has not yet taken place. Tom LePage, on Facebook: I’d be even happier if they were able to buy them out completely in some way that allowed the operation to move to an even bigger place. 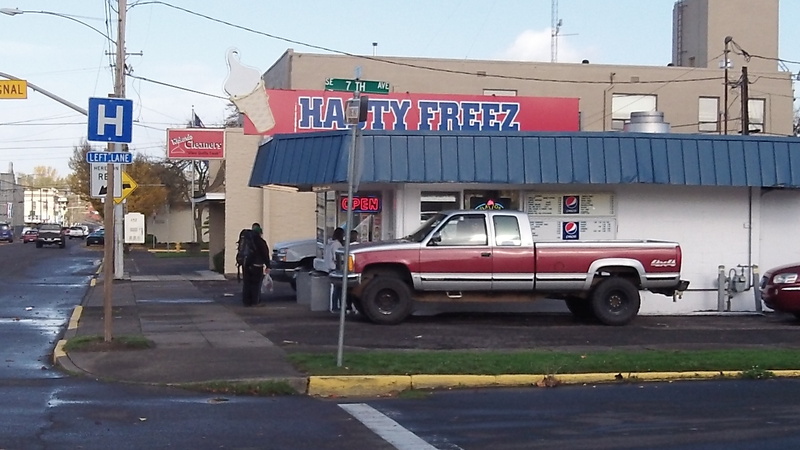 I love Hasty Freez and there is often just no room for the cars in line. Totally don’t want it to disappear!